Milan-Sanremo 2013 is a day many cycling folk fondly remember. It involved three things we all adore: racing, discussing the weather and new kit. As it happens, it was beset with the most challenging conditions and didn’t let up over the course of the full 246km race. Enter the Castelli Gabba. Just how many black Gabba’s can we spot here? Up till then everything that was available to a rider to brave such elements was quite frankly second-rate. Despite advancements in manmade materials, there wasn’t anything close to being breathable, aero, or stretchable, that could meet the demands of a cyclist; let alone being waterproof. The Gabba allowed you to pick 3 of the 4. David Millar describes the Gabba quite eloquently as “Badass”. And if that wasn’t enough to convince people, a sizeable number of the peloton adopted the understated jersey, irrespective of paying sponsors – Team Sky, Lotto and Quick-Step to name a few. From here on in the Gabba became the essential all-weather jersey for everyone out on the road. It took some time, but several years on we now have options besides Castelli’s Gabba. Claimed to be around even before the Gabba, is Vermarc’s Aqua. This was quickly followed by Parentini’s Mossa and a whole host of other innovators to save our behinds from the foul weather and get us outside riding more. At the time, our trusted and regular supplier, Velotec, didn’t have such a product. As a result, many of us went for the Gabba or the Mossa option. All this changed. 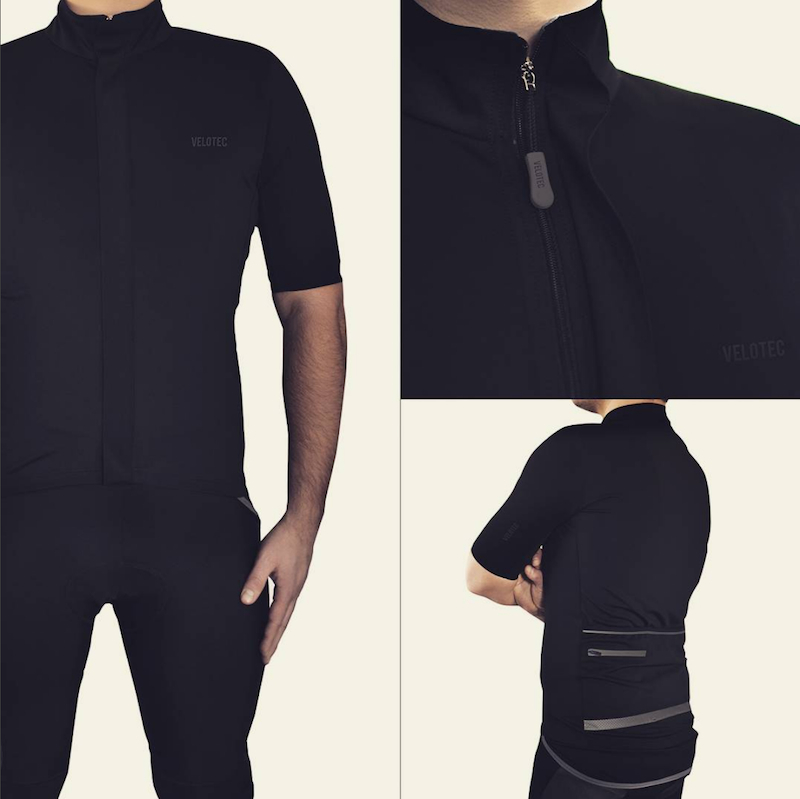 By the end of 2016, after further consulting our riding and sizing needs with the people at Velotec, we were confident enough to purchase their All Weather Jersey (AWJ). Now known as the Pro Waterproof Jacket; the update of the name is a more accurate description, since jacket materials have thinned and this isn’t exactly as lightweight as a summer jersey. At the heart of the All Weather Jersey (AWJ) is the latest Windtex material. According to Vagotex, the producers of Windtex, it is intended to be a stand-alone fabric. Meaning that it works best with a base layer to be 100% waterproof and breathable enough for racing. With this in mind, Parentini produced the Mossa without taped-seams; arguing that rain would not settle long enough to penetrate the material. They further reasoned that taping the seams would limit the natural stretch of the fabric. All the same, Velotec have opted to tape their seams, and this is one of the factors that attracted us to their updated offering. The AWJ comes in a handy short (SSJ) and long sleeve (LSJ) option. 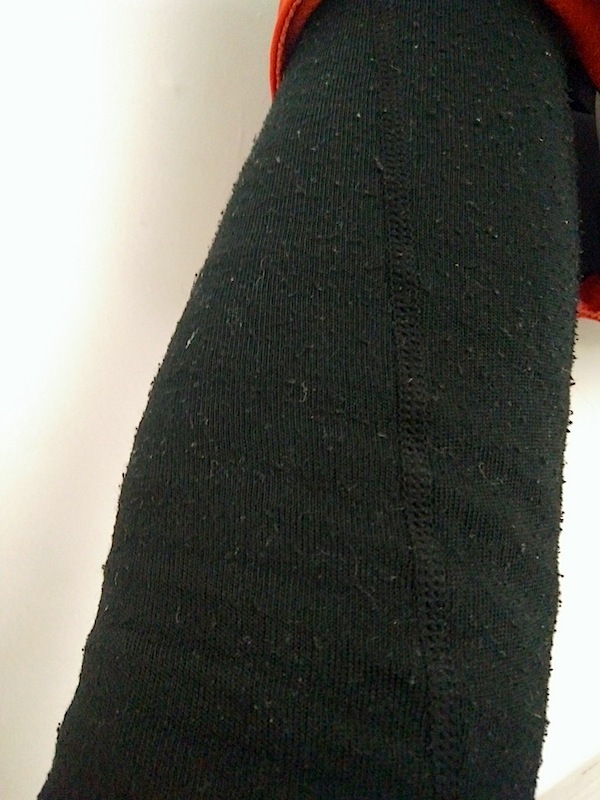 As a long sleeve we have found the cut to be good, but not perfect. We found the fit around the arms to be slightly loose that it can sometimes flap in the wind. Velotec have since updated the fit to ensure this does no longer happens. The cut does excel in the torso area. Much better than the unusually short and wide cut of the first-generation Mossa – subsequent updates address this issue, but we haven’t tested them. Instead Velotec’s AWJ relies on the material to do what it is designed to do and stretch with the rider. 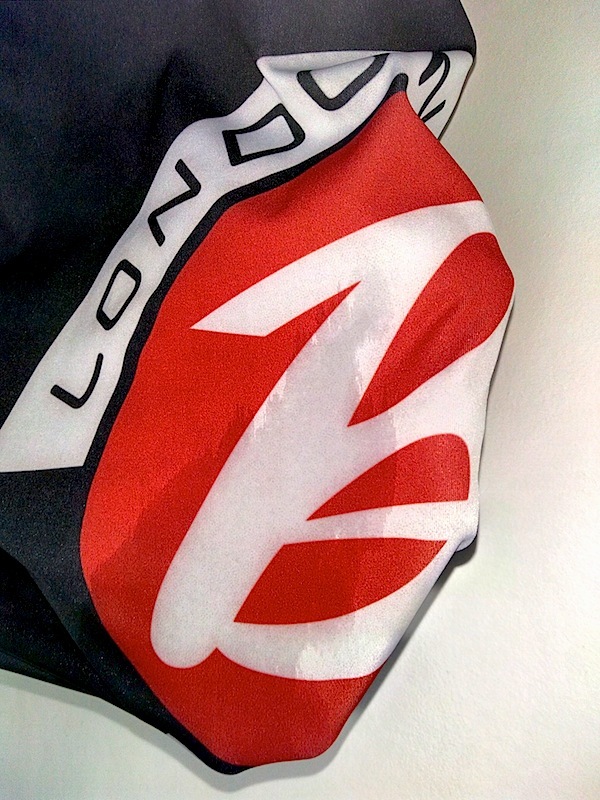 Sizing is accurate, matching that of Velotec’s summer jerseys and correspond with UK sizing of popular brands. A high collar keeps the chill at bay. Whilst the rear flap is long enough for additional protection, but short enough not to catch on the saddle rivet. 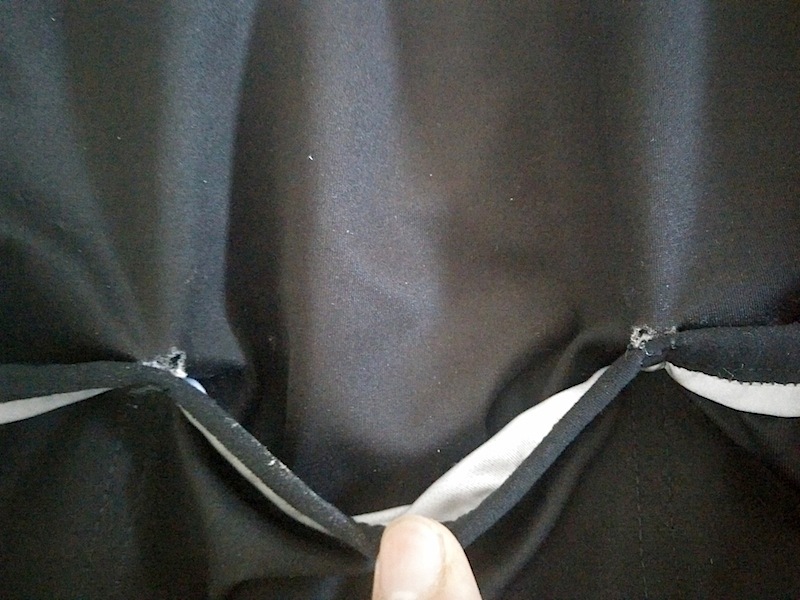 Out of the 20 jackets we purchased, 5 had to be repaired because of the seams coming undone. A year on, and Velotec have entirely improved the material and sealing process. The short sleeve jersey (SSJ) is a versatile piece, with sleeves longer than that of a summer jersey, sitting just above the elbows. Add to this a set of arm-warmers and the jersey is ideal for use over the cooler spring and autumn seasons. Everyone feels the cold at different temperatures. For most the SSJ is suitable for conditions of 5-10 degrees celsius. Whilst the LSJ is best used at 5 degrees and below when on a hard ride or racing. Unlike some brands that offer the exact same product, Velotec can go a step further and prepare a fully customisable product. This enables clubs/teams to transition using current designs with miminal fuss. 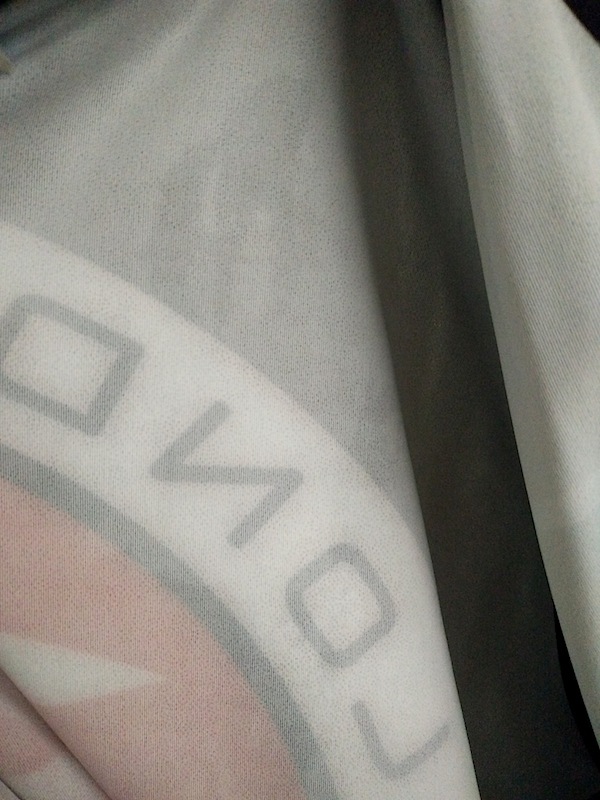 Based on the samples we were also able to give Velotec feedback to improve the jacket even more. With sleeves being lengthened to ensure that wrists are protected when stretching on the drops. Windtex is a very good material. It is 100% waterproof and keeps the rain at bay. The beading finish will eventually fade, but not the waterpoofing which is an inherent part of the material. 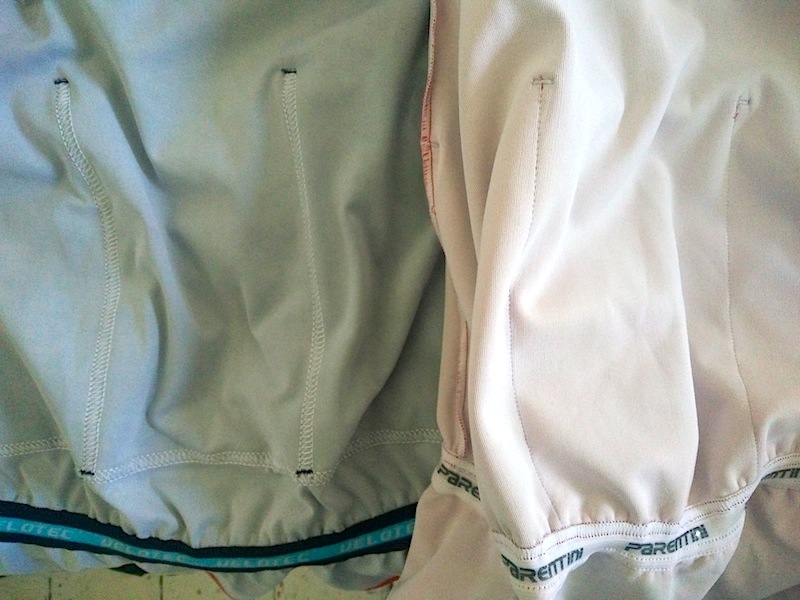 Reproofing the jersey is managed by applying a Nik-Wax, or similar product, after washing. The breathability of the fabric and it’s ability to keep the rider dry when raining is its key advantage. Even when working hard over 3+ hours on a ride when the weather is on nobody’s side. 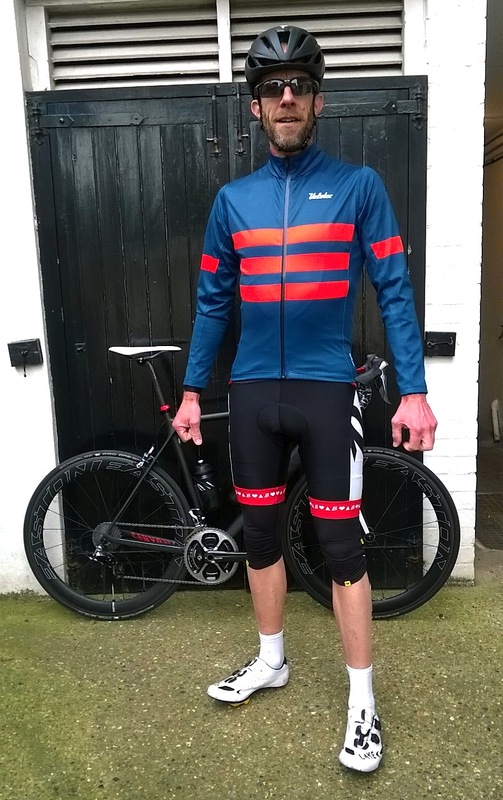 If it’s a warm day, there is nothing as good as a summer jersey with a base layer and a gilet in the pocket to ride out the rain, but if it’s cold and wet, then the AWJ is my go-to jersey. Washing is made simple. The Windtex material is robust to withstand hard weather conditions and a good wash time after time. Once home, a quick pre-wash will prevent stubborn stains from settling. Followed by a machine-wash on a quick cycle at 30 degrees celsius and the jersey will be ready for use the next day. One element that needs looking into are the cargo pockets. With our Mossa Windtex jerseys available to compare with, the stitching has never come undone, even with a full load of food and spares. Velotec’s 3 cargo pockets are high and tight, thereby securing all supplies – especially oversized smartphones. However, the stitching has come undone on a few and Velotec assure us that they are updating the thread and construction process. 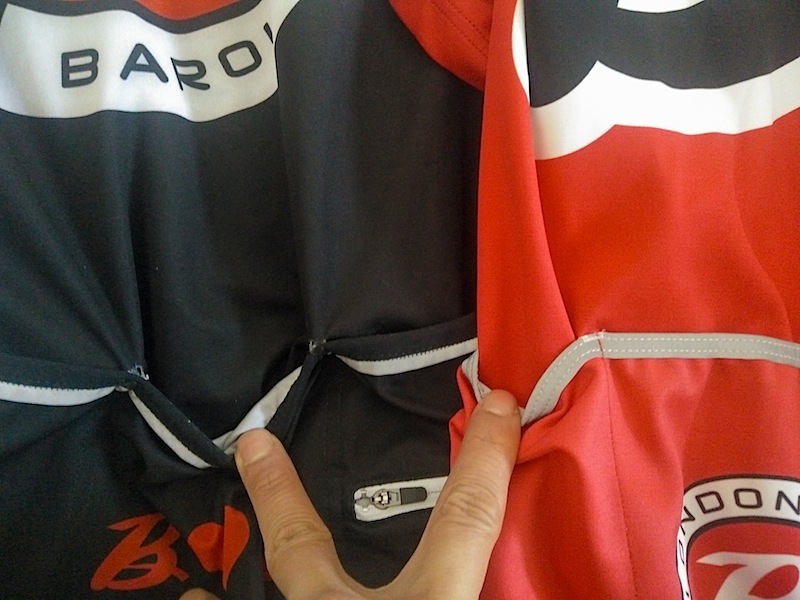 Comparing the two Windtex jerseys from Parentini and Velotec – the cargo pocket construction seems almost identical. And yet, the Velotec jersey needs revisiting. At the time of writing an AWJ is £75 +23% VAT + postage, at a minimum order of 7, with 4-6 weeks lead time . Individual items are also available on Velotec’s ‘online shop’. There are other brands using the exact same material asking for a lot more. Before going with Velotec, we did our due diligence and checked. Besides the price, we value good customer service and delivery. In our experience, Velotec is run by people who treat us as customers with courtesy and respect. That goes a long way in our opinion. The Gabba, Aqua and Mossa have led the way for all-conditions riding. Velotec have responded in kind. 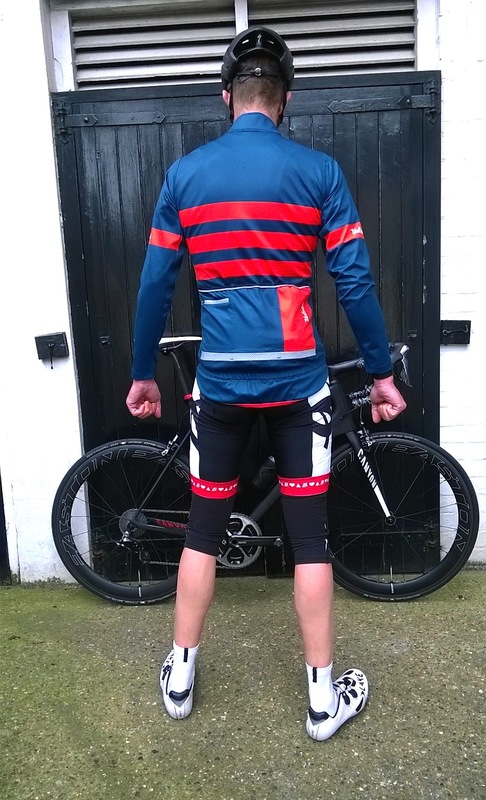 If you want a customised all-weather jersey when riding in variable conditions, at an excellent price point, then this is a jersey worth considering. The reflective trim above and below the cargo pockets is nothing new. What is new is the eye-catching reflective perforated strip and zipped pocket that sit at eye-level. After a full year of use, the AWJ has proved itself as a solid member of the team wardrobe.